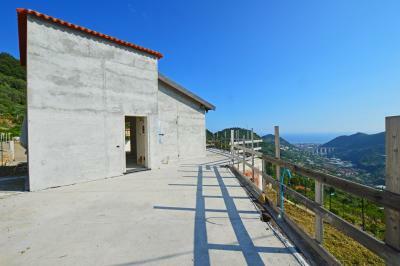 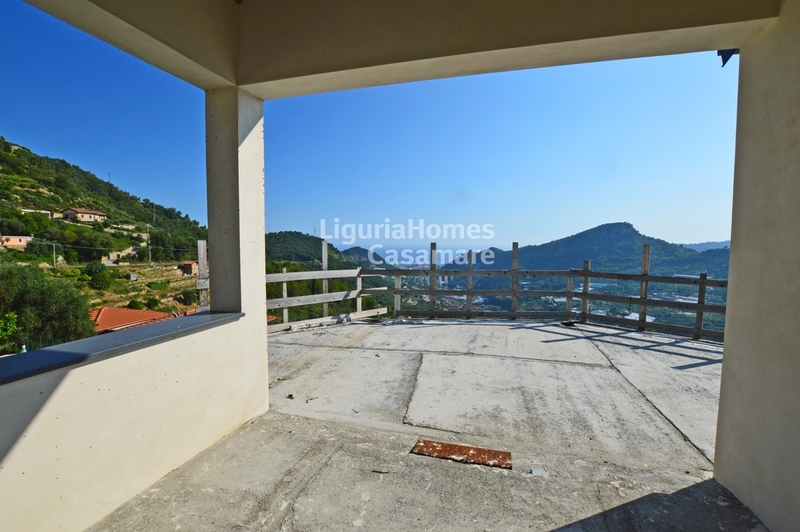 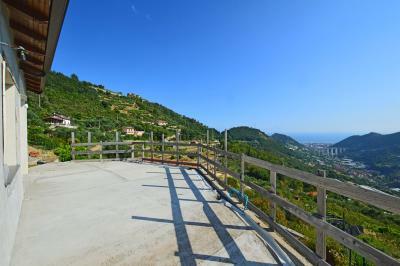 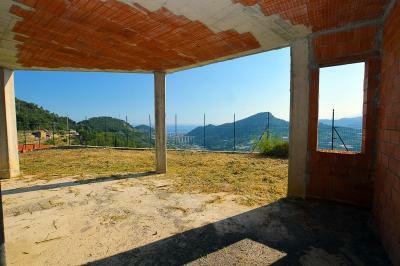 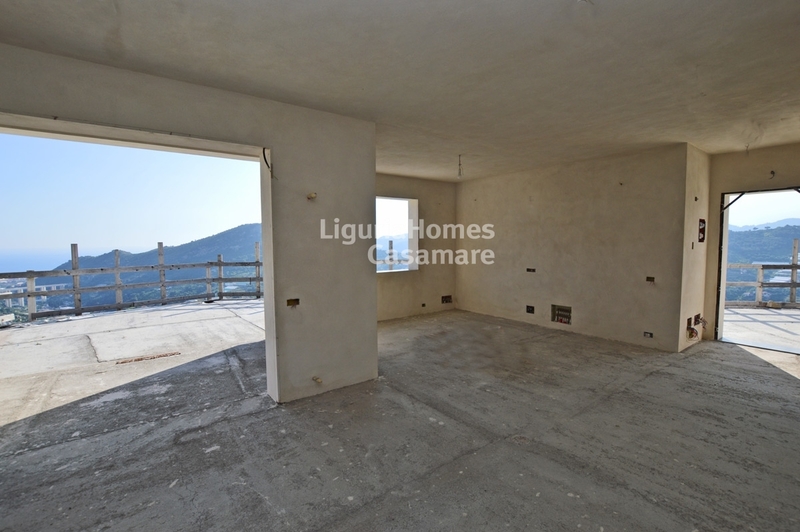 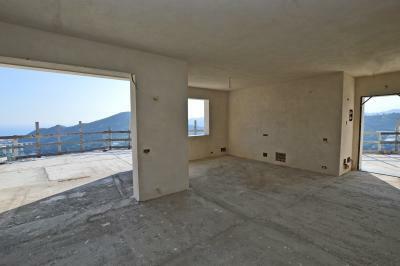 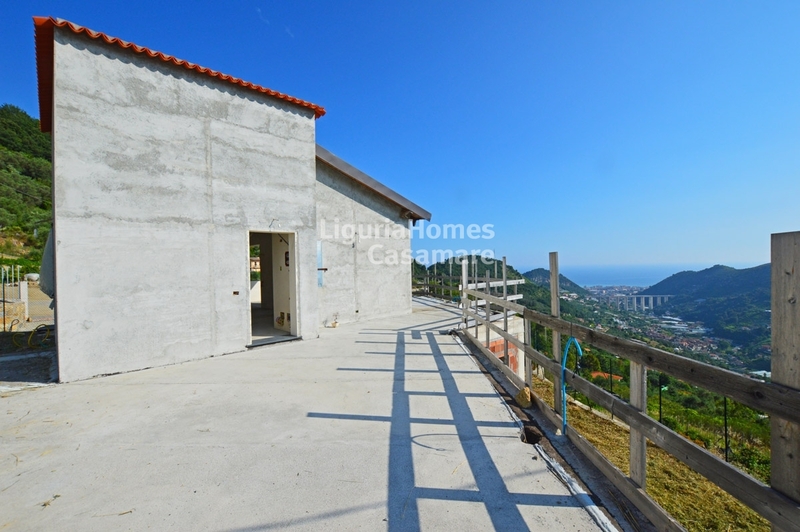 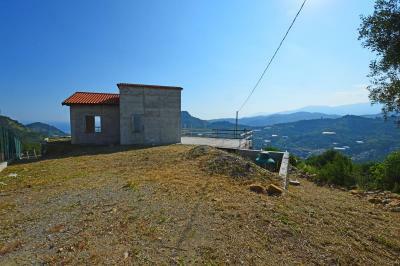 Villa under construction for Sale in Vallebona with sea view. 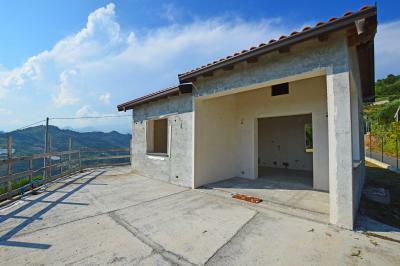 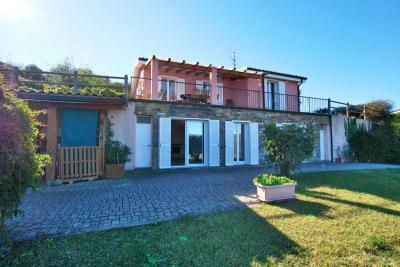 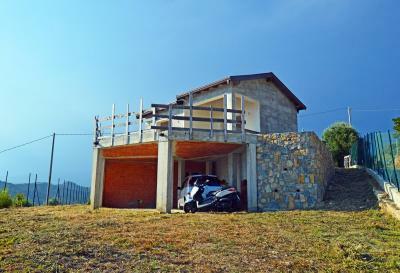 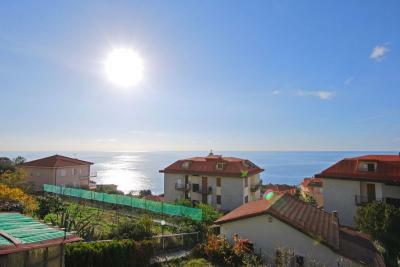 On the first hill behind Bordighera, close to the lovely Village of Vallebona, Villa under construction for Sale with garden and super panoramic view overlooking tha valley up to the blue mediterranean sea. 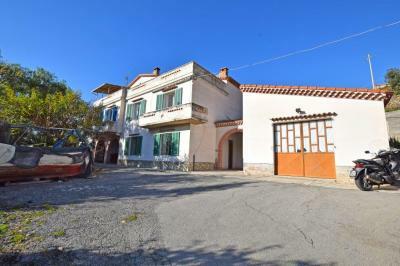 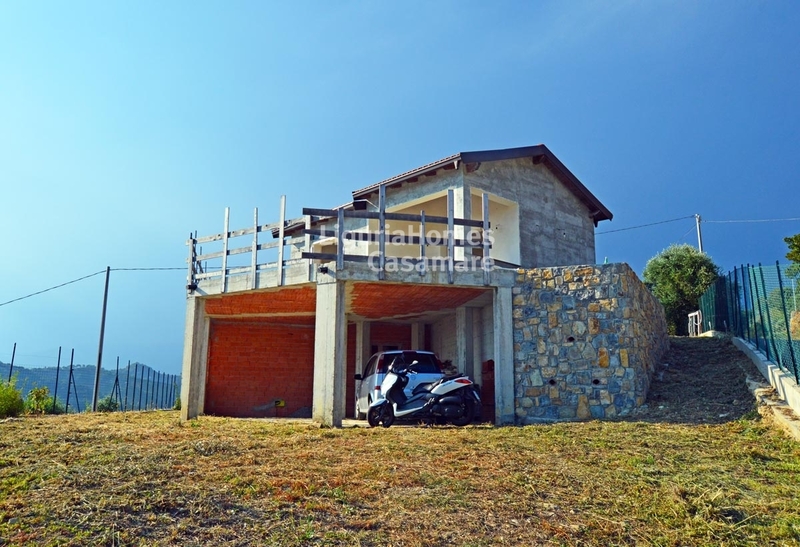 The Villa for Sale in Vallebona is set over 2 floors consisting of: living room with kitchenette, bathroom and huge panoramic terrace at the ground floor; large space to be divided in 2 or 3 bedrooms, bathroom, cellar and double garage on the lower ground floor facing on the garden. The Villa for Sale in Vallebona is surrounde by a terraced garden of about 800 sq.m. 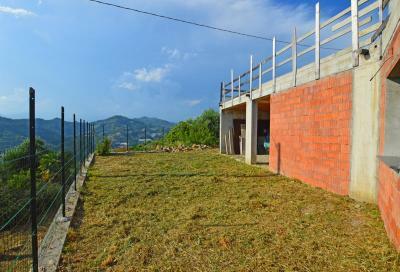 where is possible to park several carsa and to get the permission to build a swimming-pool.